Meal courtesy of Chakra. Apologies for the lack in photo quality as I was having serious issues with the camera! 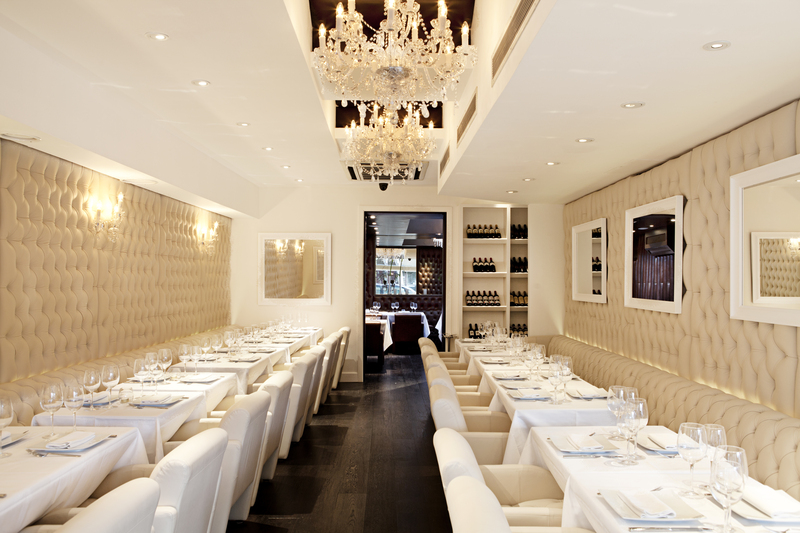 Around the scene since 2011, Chakra opens up to the Indian restaurant scene to a whole new level of fine dine, with chandeliers, sleek presentation and a delicate interior! 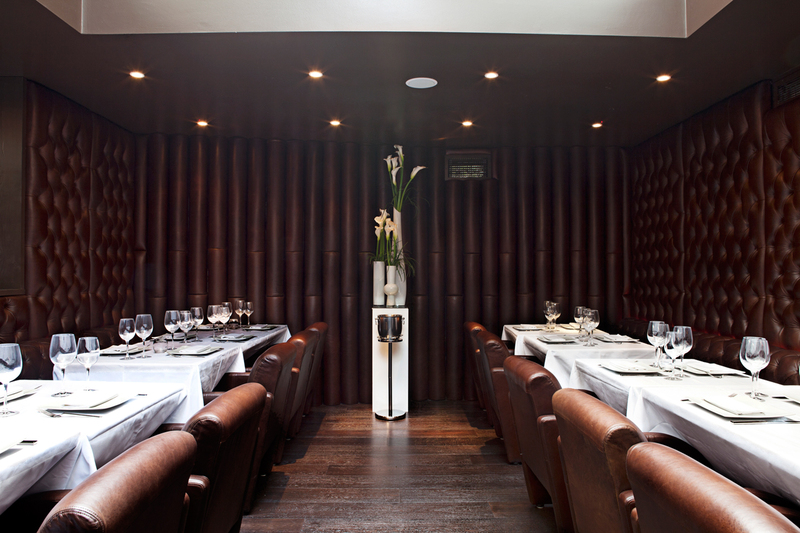 At the heart of Notting Hill, classic dishes with modern twists flood the menu. Probably a phrase that we hear all too often but having said that, it is worth checking out. 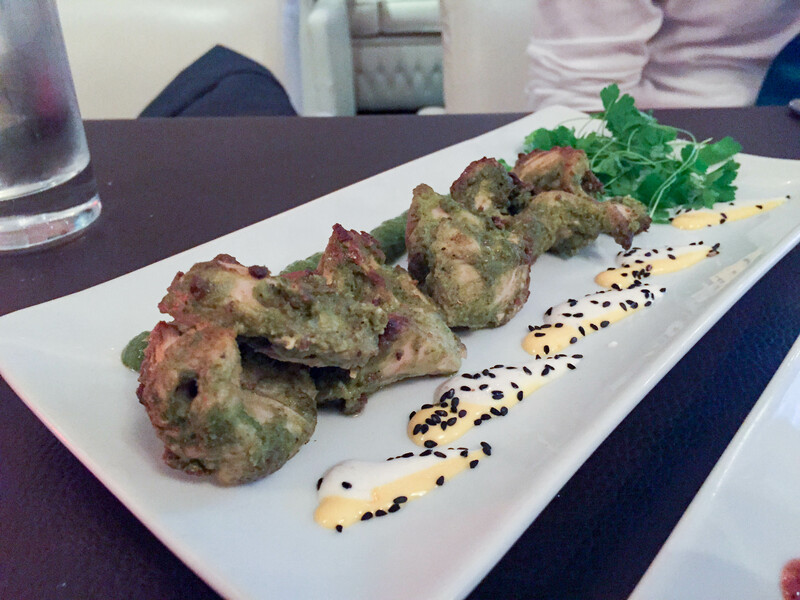 All of our dishes are based on the traditions of the Royal Maharajah Kitchen. Highlights of regional specialties and traditional street food completes the Chakra experience. 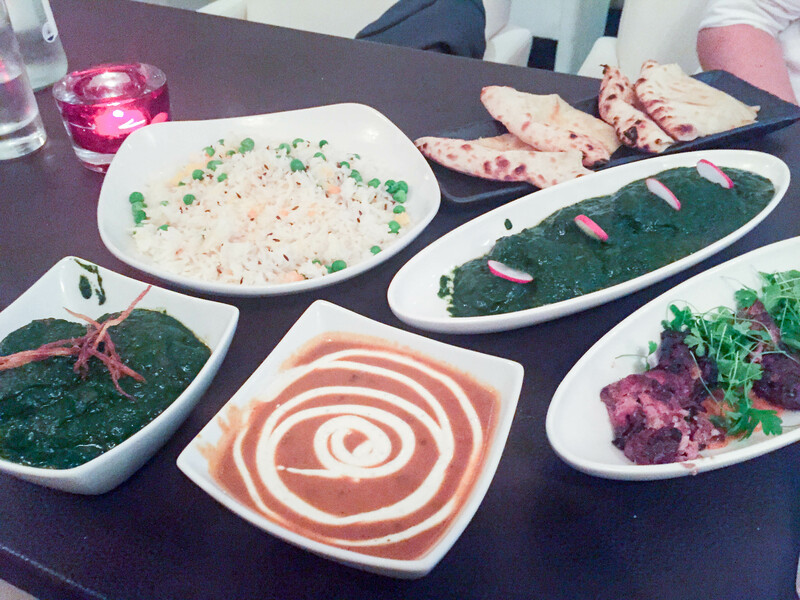 Indian cuisine in particular focuses on one important attribute, the flavour. This was the one thing I look to at Chakra was the essence of flavour. See more below! Adam Varma leads the kitchen with flamboyance and grace, balancing the fusion between Indian and British cuisine. We were first served with poppadoms, a very generous amount in which we engulfed within minutes. Following that, our starters came, the Samosa, Chole Aur Tikki Ki Shaan and Reshmi Kebab. 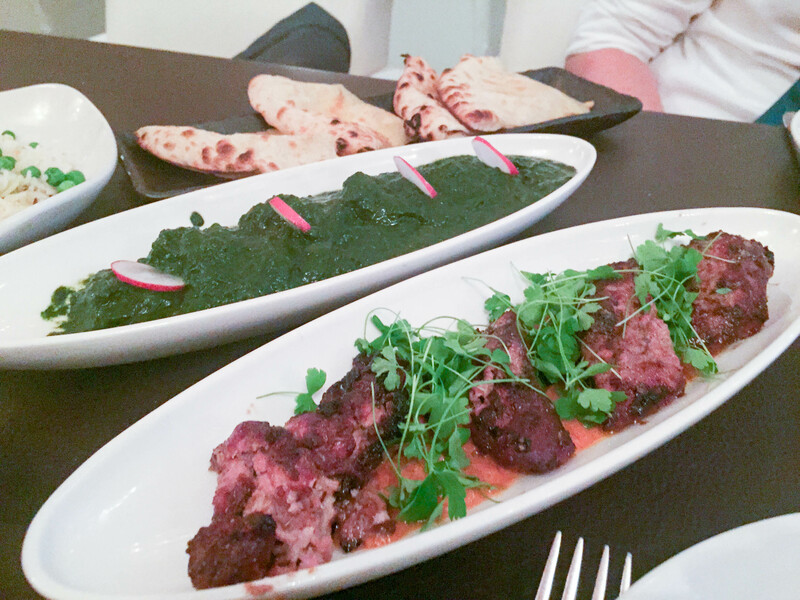 The Reshmi Kebab was the tandoori chicken breast with fresh cream and coriander chutney. The meat was tender and complimented well with the sauces. Usually I’m not a fan with coriander but the coriander was more subtle in taste than expected when dipped in fresh cream topped with sesame seeds. 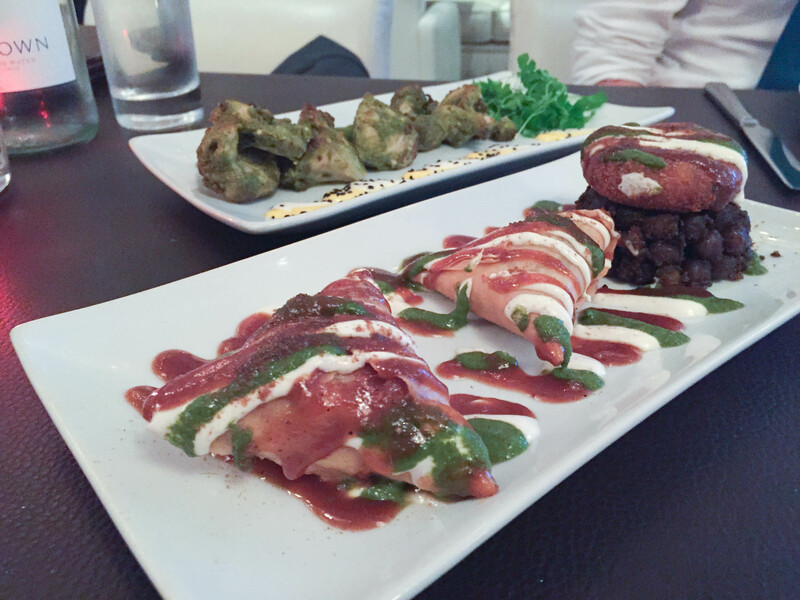 Another starter was the Samosa, the vegetable samosa consisted of aloo tikki, tea blackened chickpeas and tamarind chutney. The samosa was stuffed to the brim layered by fried flour shell, giving it a crunch texture. Unfortunately, I found some of the dishes for the mains to be sub-par, notably the saag aloo, the spinach lacking in flavour and coated with oil. Nevertheless we had our fill with their heavenly naan. We had our fill of Cheese and Peshwari naan…can never go wrong with that! A very un-Indian like dessert but I guess this is where the fusion comes into play! Hands down, the best brownie I have ever tasted, warm, gooey and not too strong. 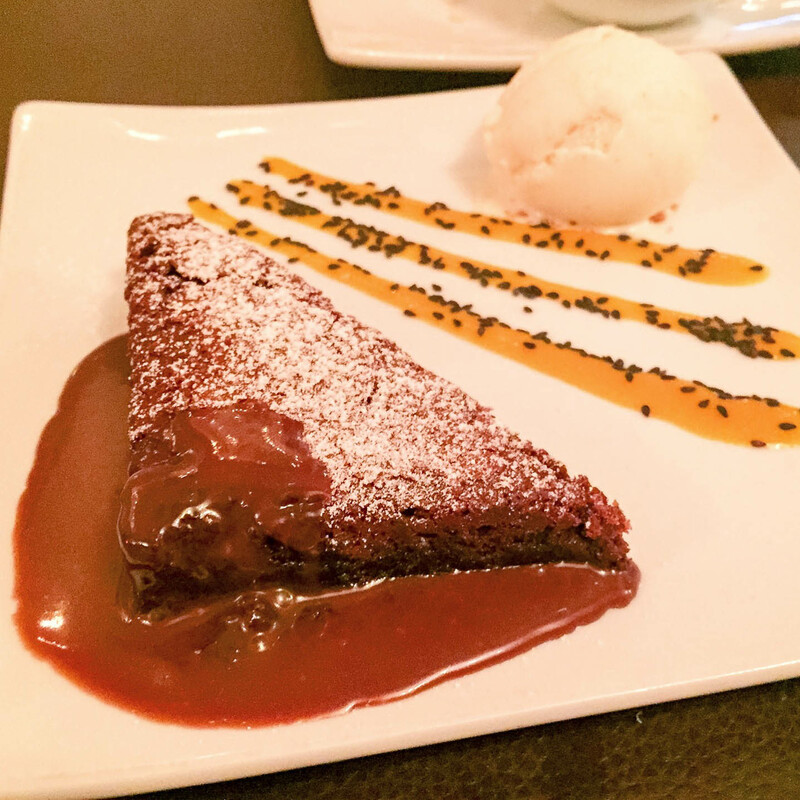 Didn’t quite take the ice-cream to as high level of satisfaction, but this brownie definitely topped our meal. 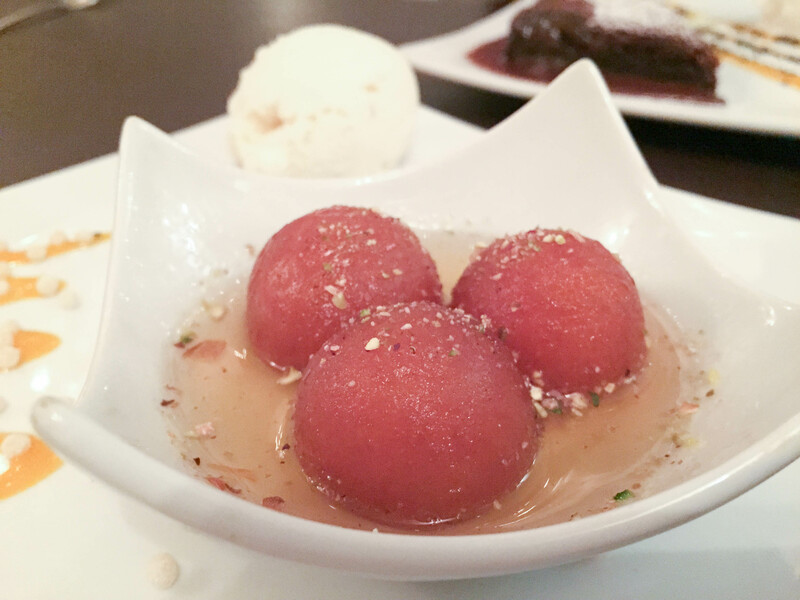 This delicacy is made with khoya and dipped in very sugary syrup. I could only really have half of one before I reached out for water! Albeit my dislike – this is still a must try. Service: Small team of waiters but nevertheless very welcoming.